Does your organization share our Vision, Goals and Values? Partner with EIMC! 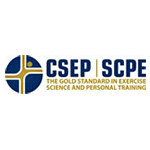 Exercise is Medicine® Canada (EIMC) is hosted by the CSEP, a non-profit organization. We are seeking funding partners to help us take our program from planning into implementation right across the Country. EIMC would be happy to discuss national recognition opportunities that best suit your organization and help you reach your own objectives and goals in collaboration with ours. Please contact [email protected]. In continued recognition of the expansion of Exercise is Medicine and the work we are doing to increase the reach of the program in Canada, this month we wanted to highlight the rich partnerships that EIMC has developed to expand awareness, advocacy and action. 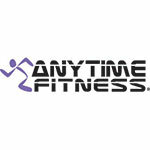 We have developed partnerships within our network, between organizations, with corporate partners and non-governmental organizations, and in research to build evidence to support the objectives and outcomes of Exercise as Medicine. First and foremost, the network of health care and exercise professionals continues to grow in building an integrated approach to exercise prescription and referral. 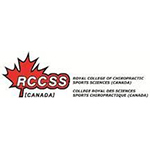 Our primary strategic priority in the last year was to have a network database operational, and with the significant support of our host organization, the Canadian Society for Exercise Physiology, we are proud to say that the EIMC network is now a reality. Your membership contributes to the network and you can search your profile and those of other EIMC colleagues through your EIMC network member profile. In the new year with your renewal, there will be specific member resources accessible through your profile that will help support you in your clinical and professional activities to promote Exercise as Medicine! (see below for renewal information and the early bird registration!). In the last year, EIMC has reviewed its governance and operational structure. 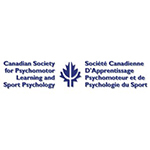 CSEP continues in its role as the primary host and organizational backbone of EIMC and is in process of signing a new Memorandum with ACSM and EIM global. We are thankful for CSEPs continued efforts to support and promote the EIMC through its many activities and programs (see the EIMC schedule at the CSEP 2017 AGM below!). In addition to CSEPs role as the host provider, we have also developed formal partnerships with some of the National Advisory Council Member organizations, to help expand the operations of EIMC. 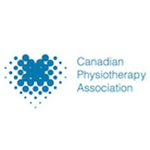 The Canadian Physiotherapy Association (CPA) is now supplying operational and administrative support to the National Advisory Council and business development and sponsorship planning to expand EIMC growth opportunities. 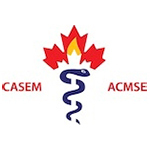 The Canadian Academy of Sport and Exercise Medicine (CASEM) is now coordinating our nationally accredited EIMC workshop program and is assisting with advocacy opportunities. 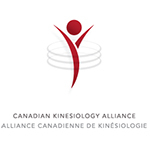 The Canadian Chiropractic Association has recently stepped in to assist with marketing and communications and each of the NAC member organizations have formally engaged in membership drives and awareness activities to promote EIMC within their respective organizations. We are thankful to the Canadian companies that have aligned with EIMC mission and vision to help us promote Physical Activity is an integral part of prevention and treatment of chronic disease within the Canadian medical system. 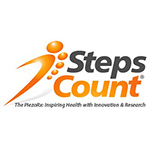 Steps Count has provided pedometers, and along with Urban Poling, have both provided logistics and marketing for booth appearances at numerous conferences. 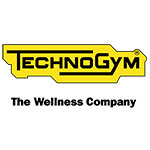 Remington Medical has also supported our workshops with providing resistance training resources for workshop participants and discounts for EIMC network members for products. Wintranslation has been invaluable in assisting with translation of our resources, materials, newsletter and presentations. We are grateful to these existing corporate partners and EIMC looks to build more relationships with industry as a major strategic priority moving forward. EIMC has developed relationships with many organizations that have developed materials and resources to support physical activity and exercise in chronic disease. We cross promote resources and tools with organizations such as: Diabetes Canada (formerly Canadian Diabetes Association), Canadian Pediatric Society, the Heart and Stroke Foundation, Osteoporosis Society of Canada and BoneFit, Canadian Arthritis Society and GLA-D Canada, Canadian Centre for Activity and Aging, Canadian Cancer Society, Cancer Care Ontario and Nova Scotia, True North (Prostate Cancer Canada), Health e-Steps, Prescription to Get Active, among others. These relationships help to expand the reach of EIMC and serve to build EIMC as a primary resource for tools to support exercise prescription in chronic disease in Canada. 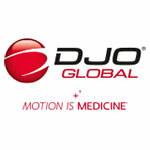 We will continue to create partnerships and build cross-collaborations with strong organizations such as these. A key aspect of EIMC is in dissemination of evidence for exercise prescription and referral to increase the physical activity levels of Canadians. In this role, EIMC continues to serve as a ‘knowledge user’ and ‘collaborator’ in many research applications and trials to evaluate effectives of exercise interventions in chronic disease. We have many research collaborators that have included EIMC within their paradigms and research programs. Examples are from the University of Waterloo, where Dr. Lora Giangregario is integrating the Exercise Vital Sign into applications with older adults; Dr. Kaberi Dasgupta from McGill is doing clinical trials on Physician prescribed steps to address cardiovascular outcomes; Dr. Jennifer Tomasone at Queens is evaluating the integration of exercise into medical school curriculums and the EIM on Campus programs with her ‘case book’; Dr. Paul Oh and Dr. Marc Mitchell at the University of Toronto are evaluating outcomes of cardiac rehabilitation programs using a EIMC models; Dr. Rob Petrella at Western University is a pioneer in the area of exercise prescription in clinical care and continues to contribute to the research applications in this field and along with Dr. Liza Stathokostas who is expanding EIM applications with her work with older adults. 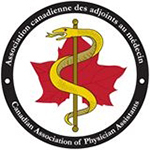 A major EIMC research partner is the Nova Scotia Health Authority, who is adopting a provincial wide EIM research and evaluation program involving numerous collaborators at Acadia University and Dalhousie University in partnership with Doctors Nova Scotia and several provincial programs to evaluate outcomes of physician training. 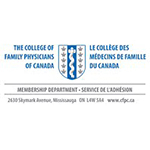 The YMCA’s of Nova Scotia and elsewhere are also conducting pilot studies on the uptake of physician prescribed referrals to their facilities. 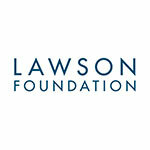 The Lawson Foundation has also been a primary research partner supporting the evaluations of our nationally accredited workshop program. 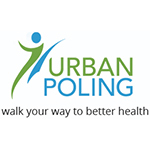 The research outcomes from these activities helps to inform best practice and strengthen the evidence for advocating for increased resource allocation to support exercise prescription and referral from primary practice to the community programs and community exercise professionals. 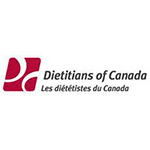 Several research articles have been produced from these research collaborations that add to EIMC “providing national leadership in promoting physical activity and exercise as a chronic disease prevention and management strategy to improve the health of Canadians”. EIMC would be happy to discuss national recognition opportunities that best suit your organization and help you reach your own objectives and goals in collaboration with ours. Please contact [email protected].